Build up your tone by breaking it down. Rewind to 1968. A guitar god used this pedal to record his first album, and the entire planet went nuts. Inexplicably, the pedal then disappeared — until now. 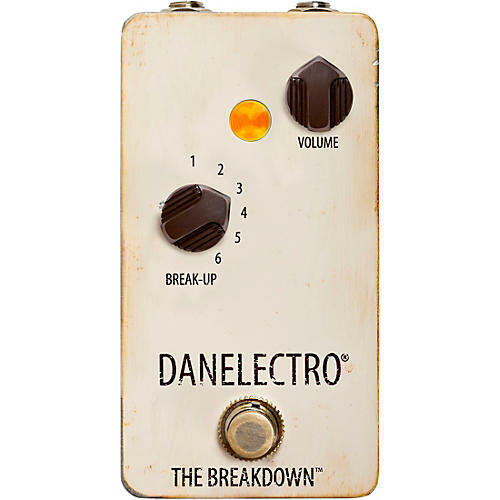 Danelectro has resurrected it with The Breakdown, this awesome, incredibly organic-sounding pedal. The 6-position “Break Up” control takes your ­guitar signal and slams the front of your amp with increasing punch. Positions 1 through 3 are ear-friendly and have “always on” potential. Positions 4 through 6 grab you and knock you back in the most pleasant way.